A fresh and Positive Reggae vibe of free energy to make the world go round! Semi "It Takes love" Positive reggae vibes!! VIEUX FORT, Saint Lucia - Oct. 6, 2014 - PRLog -- “It Takes Love” brings a happy, feel good and end of summer sound vibe to the Positive Reggae scene. Written and produced by Semi for Lateko Records, the track was mixed by Francis 'Leebo' De Lima and features renowned Saint Lucian guitarist Ronald ‘Boo’ Hinkson. As the world struggles to cope with its many problems including crime, poverty, national and international conflicts and high cost of energy, a time proven and tested free energy source is being ask to be revisited to give this world a fighting chance to thrive. This energy can be found deep in the heart of every man, women, boy and girl. According to Semi, this tried, tested and only sustainable free energy is good old love. 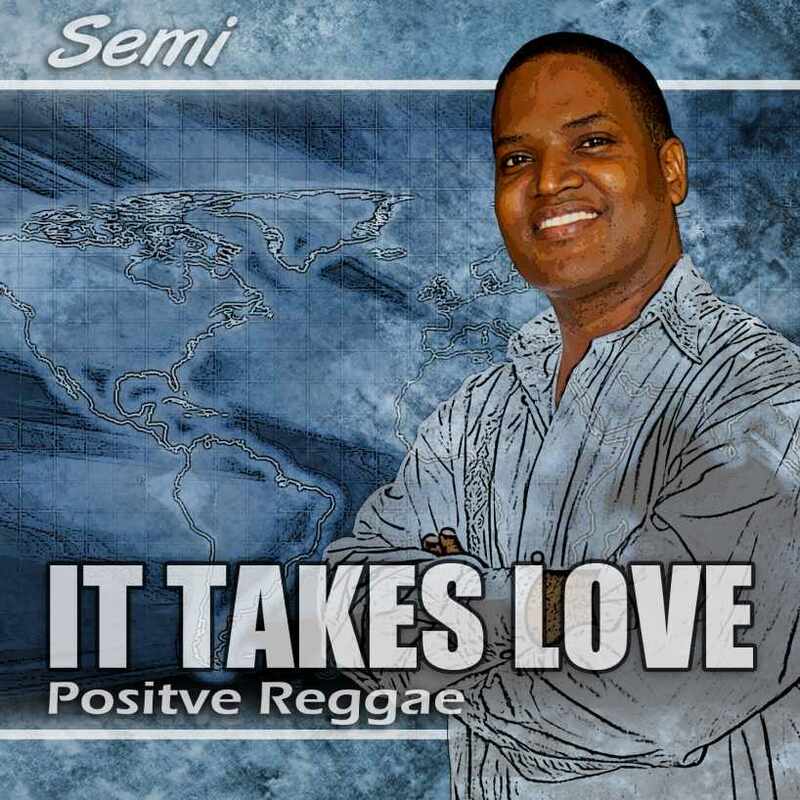 Semi’s previous releases ‘Look What Love Can Do’ and ‘Love Is The Key’ has been permanent fixtures in the Reverbnation Reggae Chart for St. Lucia featuring at the number one spot for many weeks; and early indications are ‘It Takes Love’ is set to repeat this success. The artist who is most fondly known by his national audience for his chart topper “Put Yourself In My Place” continues his musical journey which has taken him far and wide around the world. Having performed with his band October 4 at the opening of the St. Lucia Jazz festival in 2000 and in more recent times Waterside Jazz (2012) and Tea Time Jazz (2014), Semi’s international recognition is well documented with the band Summit when he migrated to the UK where the band appeared on many high profile UK shows and secured a deal with RCA Records.